Mount it securely and safely to the wall using this Low Profile Wall Mount Bracket! 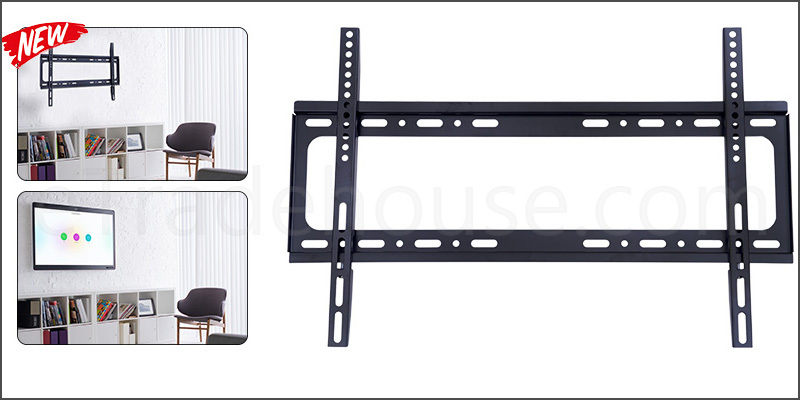 This mount bracket features an ultra-slim form factor, which puts the back of the TV only about 0.75" away from the wall, making it ideal for displays with side or bottom facing connections. The mount includes a security bracket, which prevents removal of the display from the mount (padlock not included). Integrated bubble level assures easy installation allignment. Suit for screen size: 37-70"